As Emmy Awards season begins, we take an overall look at the nominations in all of the music categories, including the ones for original composition (for a series, for a movie or miniseries, for theme, and original song), for music direction, and the new sixth category, for music supervision. Music supervisors are hailing this decision by the Television Academy to begin honoring their work, which for the most part involves finding the right song for the right scene. 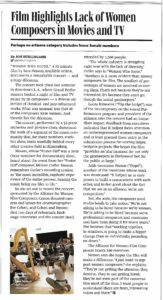 But there is a lot more in this story, including surprising nominations for documentary scores and even for Lady Gaga’s half-time performance at the Super Bowl — and a brief look at what highly touted songs weren’t nominated. This entry was posted in Composers, Interviews, Television Music and tagged Emmy Awards, Emmy Awards for music, Film Music Society, music Emmys, Television Academy on July 17, 2017 by Jon Burlingame. It isn’t often that I go after a “scoop” — what we print journalists used to call getting to a hot story first. But when I heard that John Williams would not be scoring both of the Steven Spielberg films currently in production (The Papers and Ready Player One), I thought it was worth the effort. So we at Variety were the first to report that Williams will score The Papers, the Pentagon Papers story, and that Alan Silvestri (perhaps best known for such classics as Back to the Future and Forrest Gump) will be doing the sci-fi film Ready Player One. Silvestri is well known to Spielberg, who has produced a number of Robert Zemeckis films that he has scored over the years. This entry was posted in Composers, Film Music and tagged Alan Silvestri, John Williams, Ready Player One, Steven Spielberg, The Papers, Variety on July 7, 2017 by Jon Burlingame. 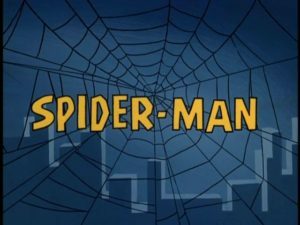 As you know, I tend to wax nostalgic about classic TV music of the ’60s and ’70s. 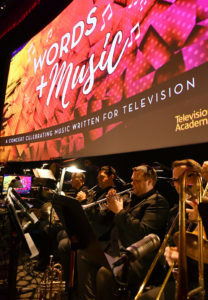 But there’s a lot of really exciting work being done now in television, too, and much of it was showcased in a Television Academy concert called “Words & Music” Thursday night, June 29, at the Academy’s Saban Media Center in North Hollywood. Music from Homeland, Luke Cage, Empire, Underground, Feud, Narcos, This Is Us, The Americans, The Good Fight and many others was played live by a 27-piece orchestra with a number of vocal soloists. I reviewed the evening here in a piece for Variety. 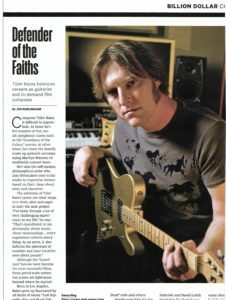 This entry was posted in Composers, Television Music and tagged Saban Media Center, Television Academy, television music, Variety, Words & Music on July 1, 2017 by Jon Burlingame.